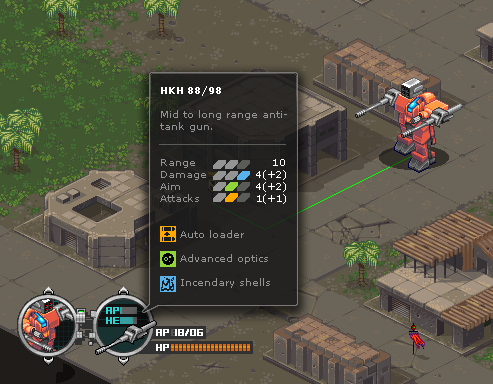 Interface and HUD work has continued, and gone through a number of revisions. 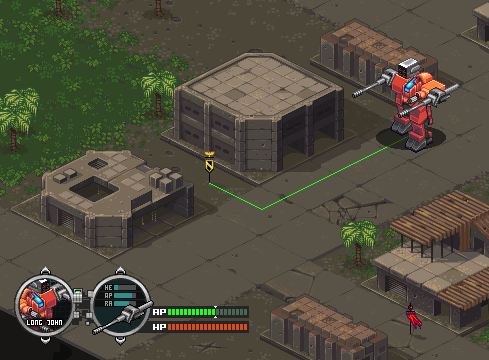 Kawe is currently working on the rest of the needed UI elements needed for the right side of the screen, which consist of things like activating overwatch, using or activating equipment such as jump jets, or cloaking, and much more. 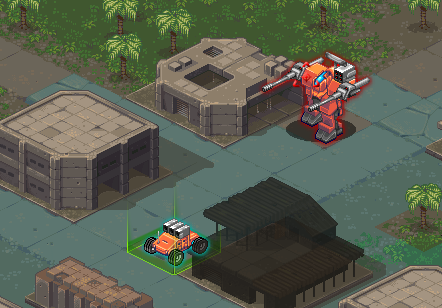 As well as use of inventory items that troops might have like, grenades, mines, medpaks, and so forth. While he has been busy working on those bits, I've implemented quite a few much needed things, such as custom mouse cursors, as well as glowing outlines for selected unit, and currently moused over targeted enemy. The custom cursors still need to go through the art pipeline and be replaced with real assets, and we have a few other bits and odds like markers and such that need to happen, but things are progressing overall pretty well on the UI front. Things are starting slowly to get back on track over here. We've begun much needed work on the HUD, and have also implemented custom context aware mouse cursors. You'll have no doubt noticed a lack of weekly updates here recently, I apologize about that. December 16th I went into the dentist for some teeth pain that has been attacking me for a few weeks. Ends up the root was dying, and I needed a root canal. For those not familiar root canal is generally a 2-3 visit process. They did step one, and sent me on my way home loaded up with pain pills, and a promise of pain being fixed, and scheduling me in for phase 2. Unfortunately the pain didn't go away, and instead got worse. Had to go back in, they found I now had an infection there, cut and bashed me a bit more, and sent me home with even stronger pain pills, steroids, and antibiotics. Long story short, since the 16th I've been in terrible pain, drugged out of my mind, and mostly in bed. After 2 weeks of antibiotics, and more pain pills I'm finally starting to feel better and sane, and will hopefully be back to normal by next week. M.I.N.T wise, really not a lot has been accomplished, but we did manage to get a website online for the game.